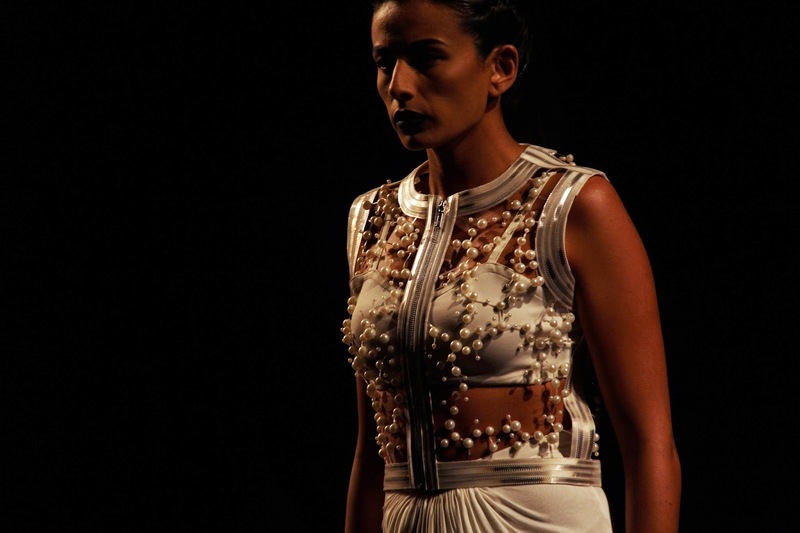 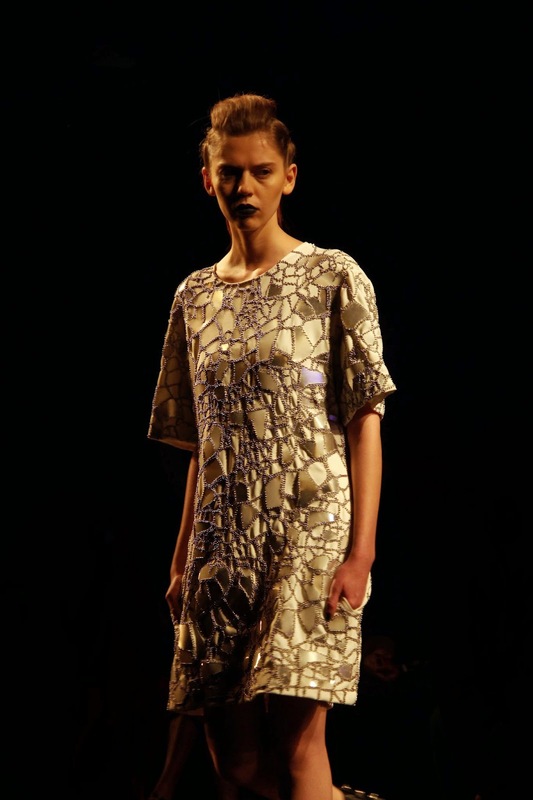 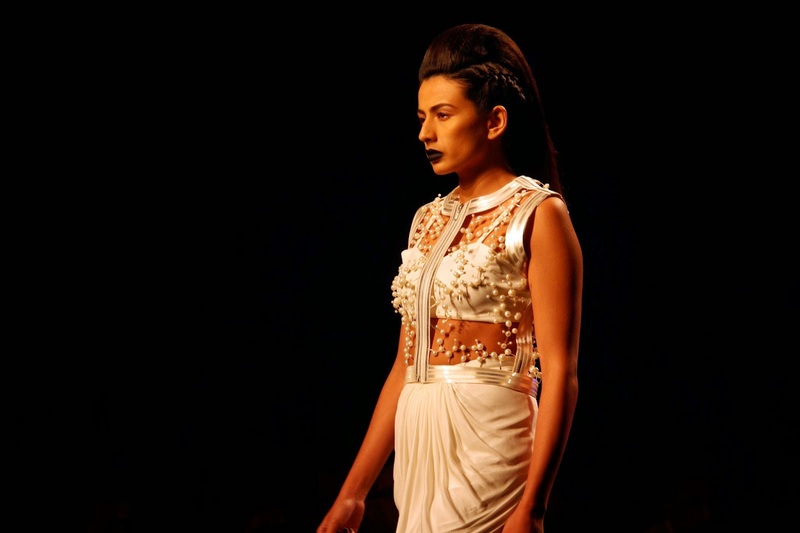 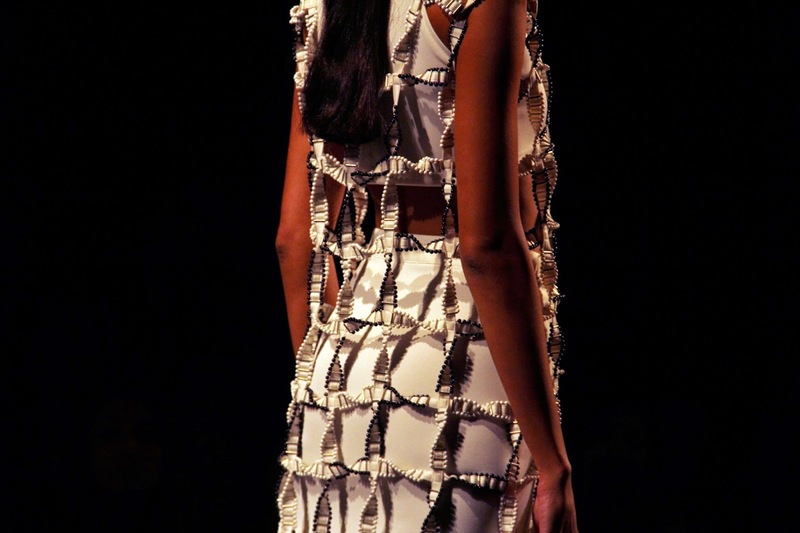 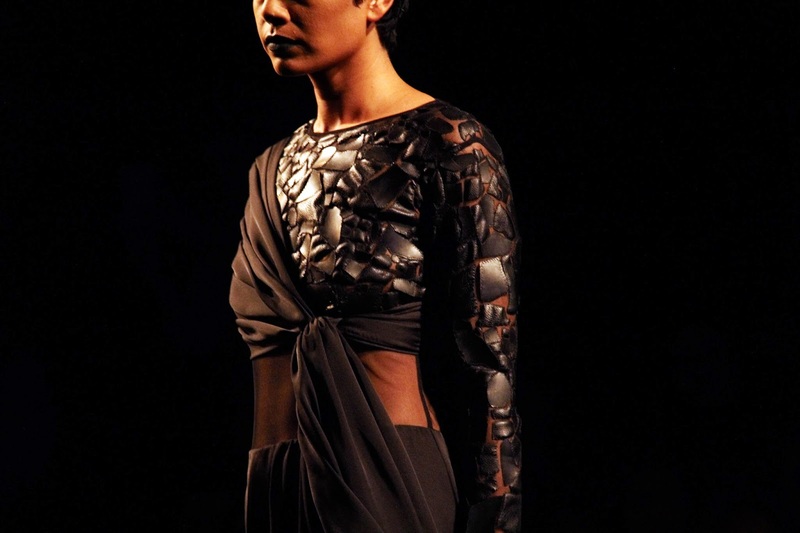 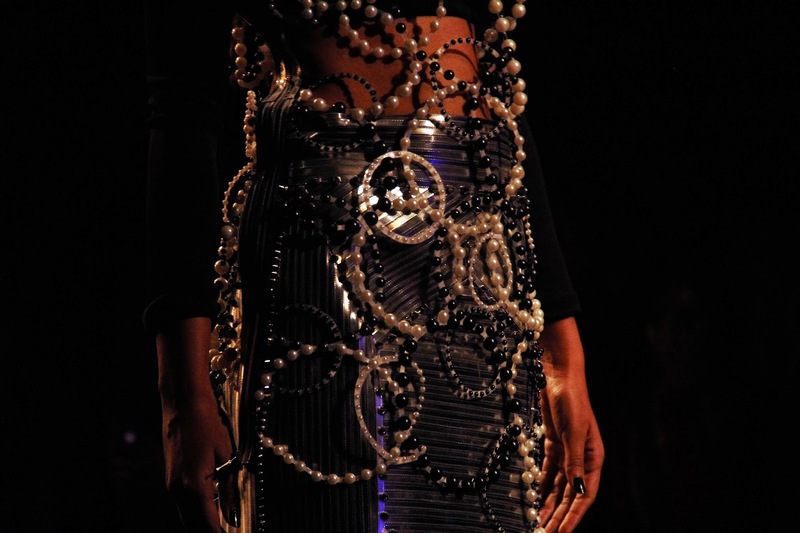 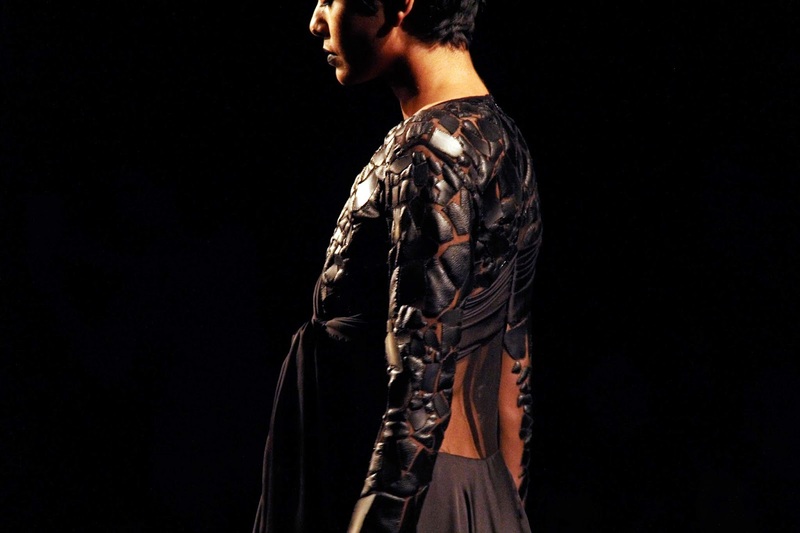 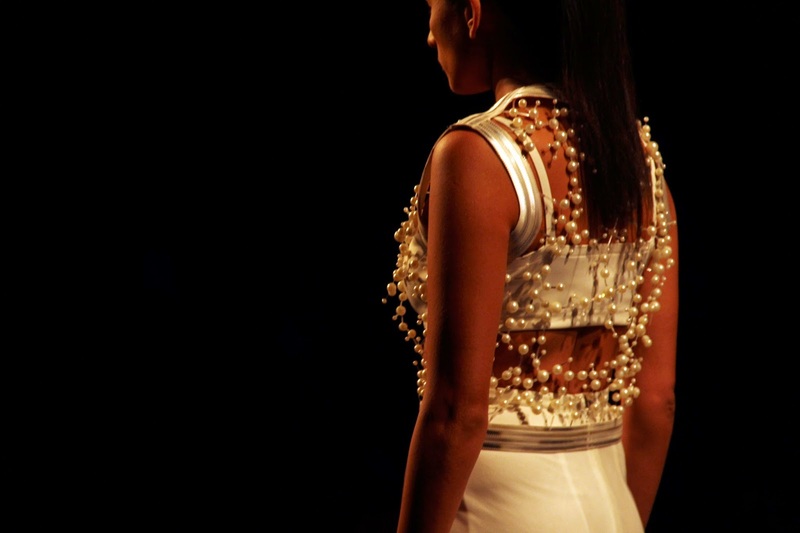 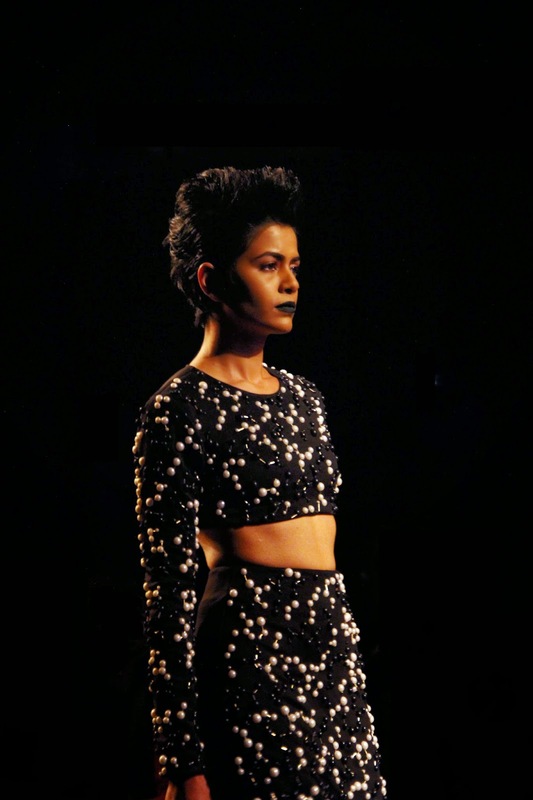 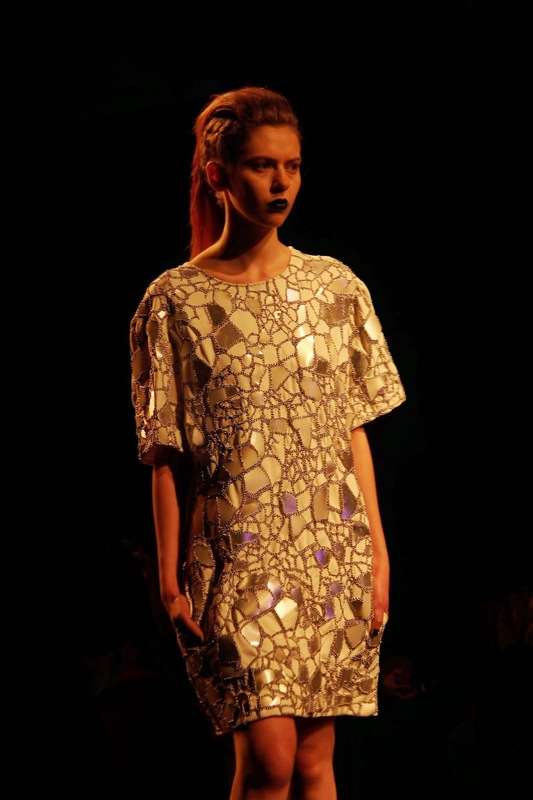 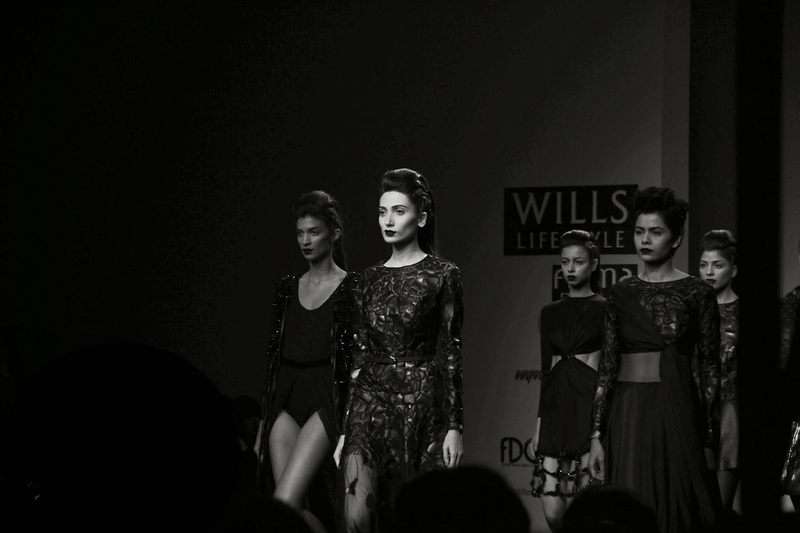 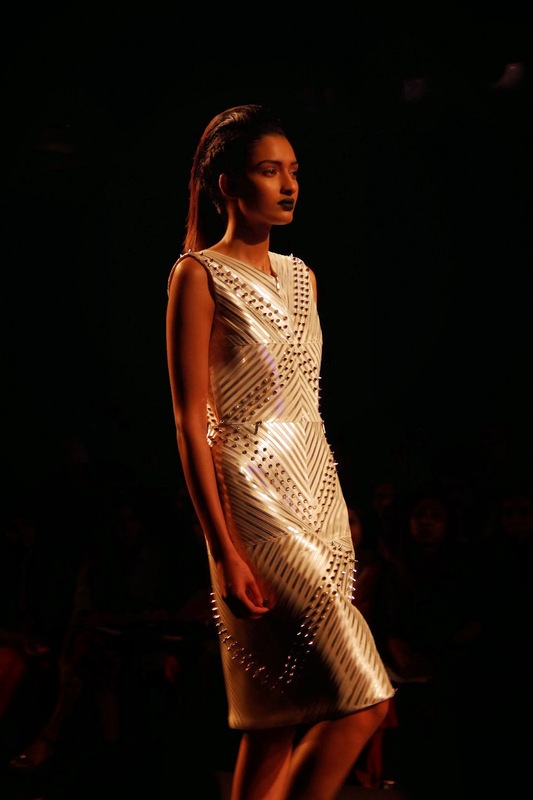 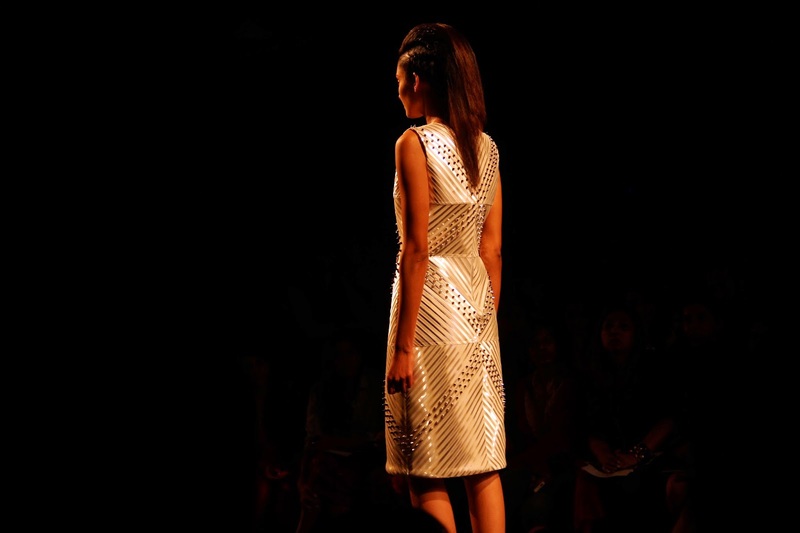 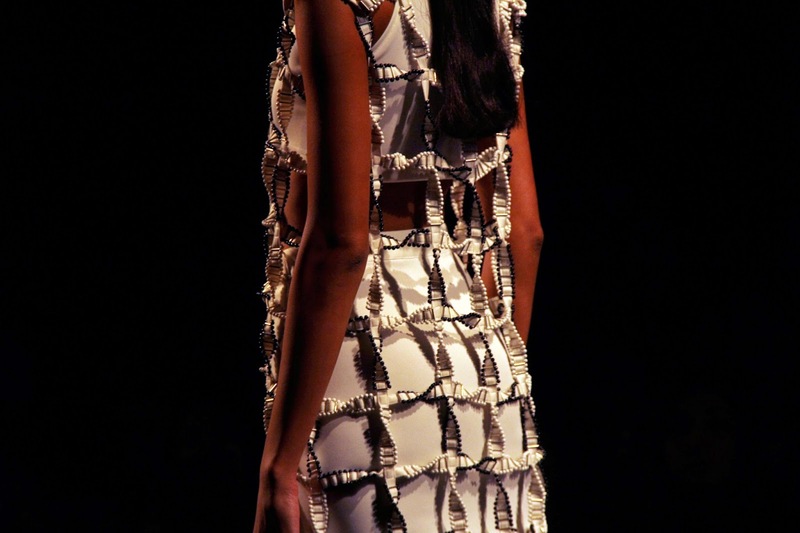 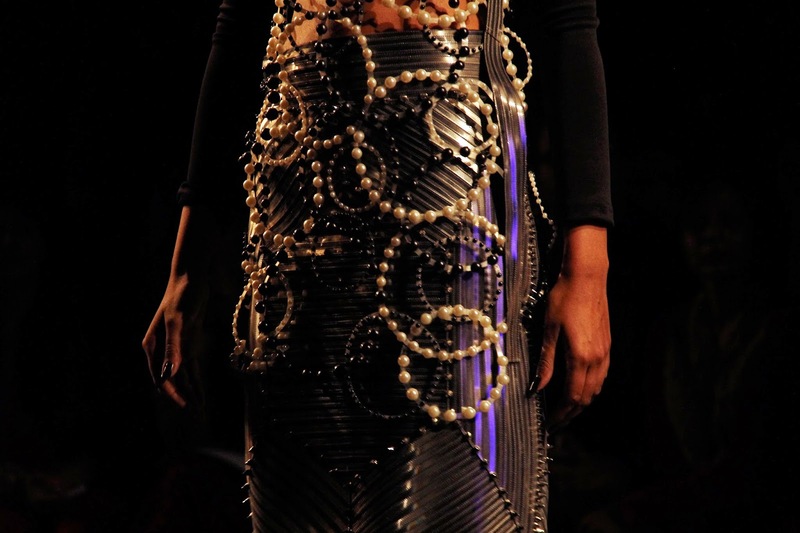 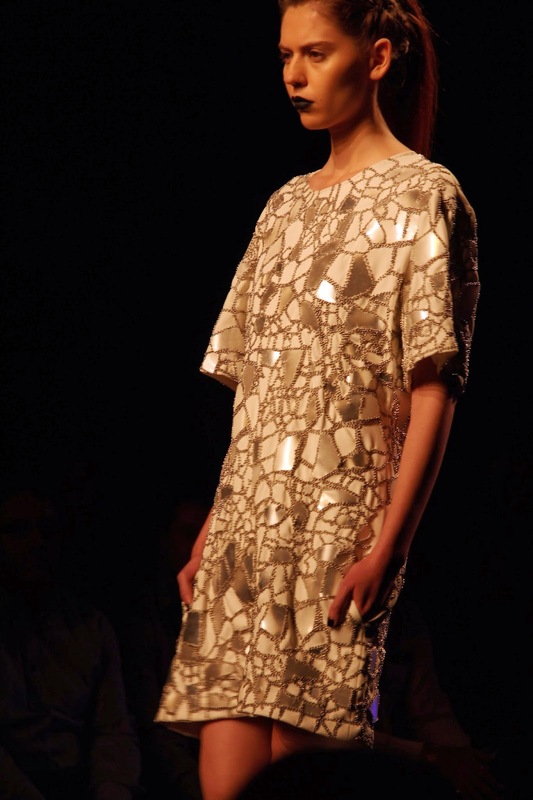 Anand Bhushan for his fall winter collection takes an inspiration from the anatomy and structures of micro-organism. 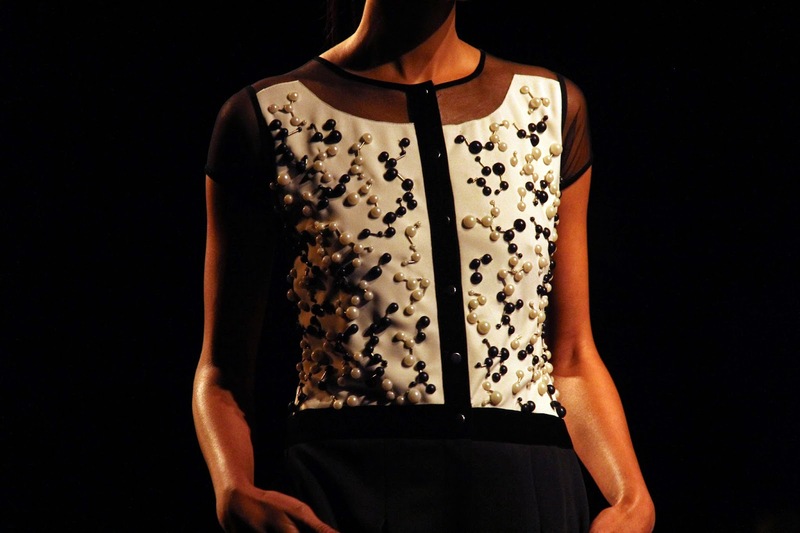 He has used the microscope for a close study of the tiny living organisms and goes beyond their luminous frame work, and discovers the cracks that have been filled and the fragments that have been glued back. 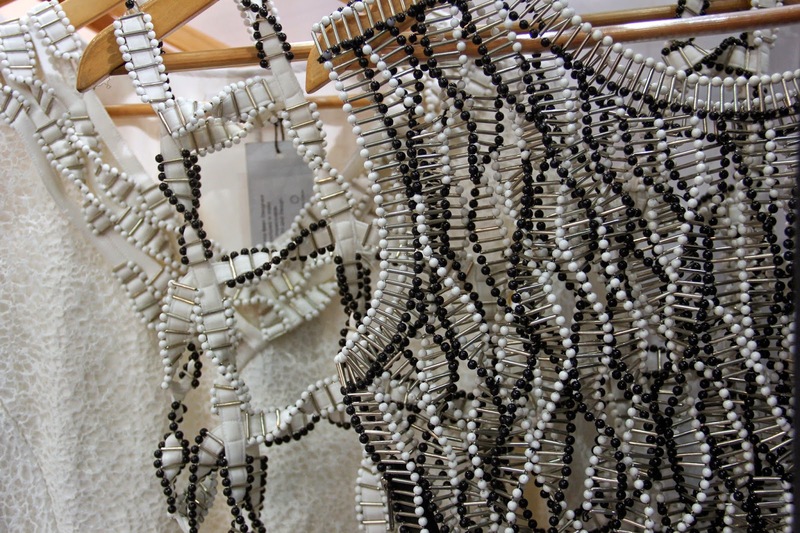 The molecular and atomic structures, DNA strains and spirals, chromosome structure are taken as a form of inspiration and beautifully put together in the form of surface and design. 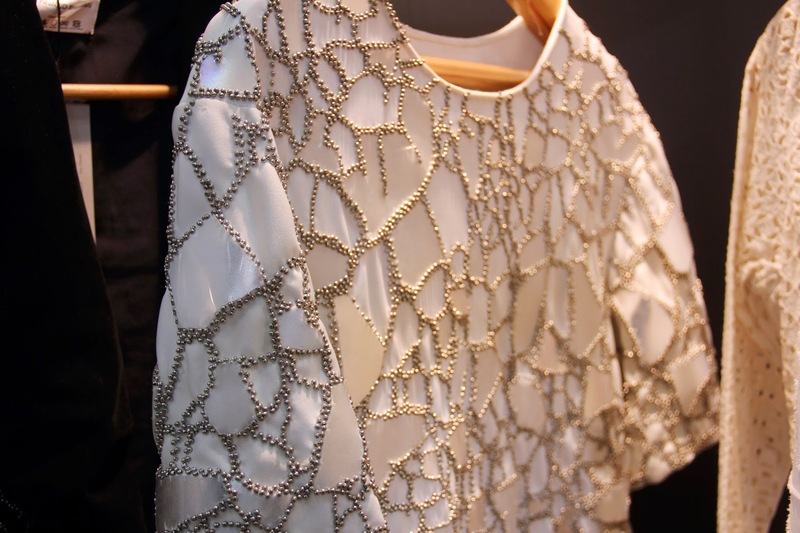 Beads, metal, plastic, acrylic and leather have been used to create an atomic surface like texture and have been used smartly to emphasis the beauty of the clothes. 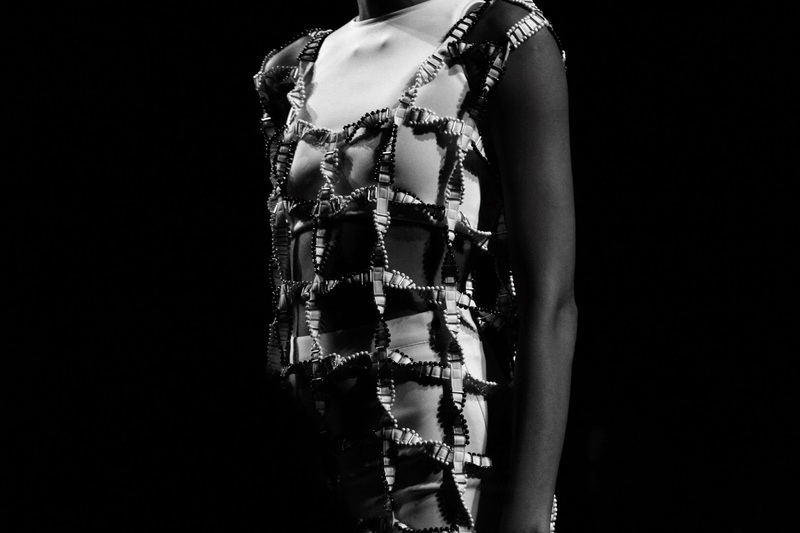 Crop tops and tapered skirts with atom like beaded embroidery, DNA structure inspired spiral dresses, broken acrylic and leather surface were the highlights of the collection.